Clear plenty of room in yr pop library; this is a BIG song. Label: Hip Hip Hip / Alcopop! 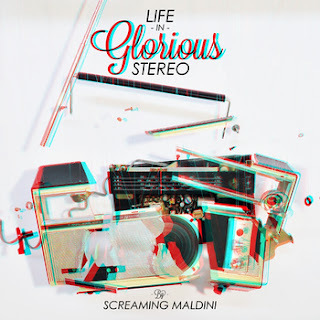 Sheffield progressive pop collective Screaming Maldini have finally unveiled the lead single from their forthcoming self-titled debut album. And if there's ever been a song with as descriptive a title as 'Life In Glorious Stereo' then it has never come our way. We've heard things described as being 'pocket symphonies' before and would be tempted to talk about this as such, if it wasn't for the fact that we've never had any item of clothing before with pockets big enough to contain this. This song is absolutely HUGE. Amazingly 'Life in Glorious Stereo' makes The Polyphonic Spree seem toned down in their approach. But where the Spree get their effect from packing in the personnel Maldni manage it as a tight six-piece, bouncing vocal harmonies across the pop chorus, ELO-esque synth bridges and crazy sound effects that all join together for one of the greatest pop hits of 2012. With both the single and it's b-side 'Minor Alterations' multiple listens aren't just recommended but essential. So much is packed into these two songs, and with such attention to detail, you'll miss plenty on the first few listens. So tuck in and prepare yourself for what's sure to be a stunning album. For people interested in previous Maldini releases, Alcopop! has two excellent EPs, whilst the bonkers 'Monkey See, Badger Do' is available on thelimited edition Keep Pop Loud compilation CD. The first ever three-way-tie for Track of the Week from artists we love so much we've released their music. So much incredible music landed on the internet in the last week that there was no choice but to make this weeks top track a triple post featuring three alumni from the Keep Pop Loud CD. First up is MJ Hibbett continuing is characteristically phenomenal year with this stand-alone single. 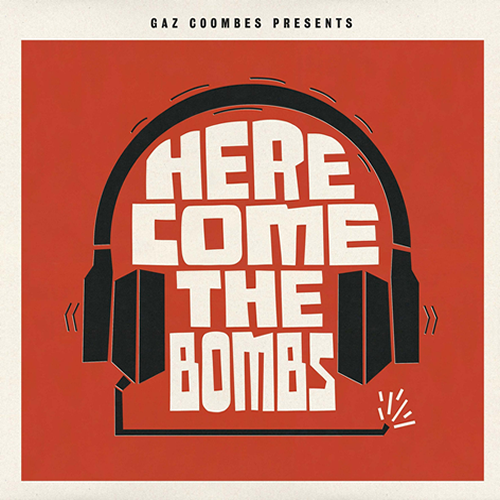 If you're familiar with the songs of the indiepop legend you'll know what to expect, and there's certainly comparisons to be drawn to '2000AD Nan', but in short this is just a phenomenally written song. About the things that just aren't meant to be, and the missed chances that should have been it makes you feel kind of sad but in a positive way. Another Hibbett song to help you through life in other words. Pris' return has been a while coming, but very much worth it. 'A-Bomb In White Heat' is possibly their best track yet and a world away from the girl-group aping 'Icon On A Motorbike'. Like pop, punk and new wave all thrown in together with swagger and attitude it's a real mission statement for the band. Martial drums, a slinky bassline and minimal fuss, it's exactly what you'd hope pop to be in the 21st Century. Another group who are sounding a little different to what you might expect. The Winter Olympics have announced new single 'I Prefer The Early Stuff' which shows off their meaty rock side. Still with the pop-culture referencing lyrics that we love them for this is emotively charged (thanks to Andrew Wagstaff's vocals) but with gnarly guitar and massive hooks. It's not ll rock bluster though – the lryics will make you smile and the rhythm section work tightly to make you dance. In other words this does everything you could reasonably expect. And then some more.